Dave Liebman is one of the greatest relatively unsung masters of the saxophone. True, he has been honoured by the NEA and is beloved of the cognoscenti, but as saxophonists go in this generation, he appears to be less recognised for his brilliant virtuosity and rare gracefulness. In his hands, the straight horn finds one of its finest exponents. Only Wayne Shorter is a rival. Like Mr. Shorter, Dave Liebman is also an important composer. His work bristles with genius and is a miraculous balance between simplicity, depth and virtuosity all in the service of expression. He uses the full range of his beautifully voiced horn to full advantage. His rubato is subtly, perfectly judged; the horn sings. This is what Dave Liebman is all about. Take a listen to The Puzzle and feel from Dave Liebman’s fingers the iridescent showers of notes cascade with scintillating exuberance. This album is one of Dave Liebman and Expansions The Dave Liebman Group’s finest. We routinely say that about Dave Liebman’s work as well as that of this ensemble but truth to tell each record is more powerfully affecting that the previous one. That’s not surprising. Lieb, as he is called, is an inspiration to younger musicians. A nudge here and a hefty heave-ho there and the band is swinging with aplomb. Their outstanding execution of this repertoire, which Dave Liebman refers to as puzzles to explain the simple matter of the burgeoning improvisation that takes place here, boasts many impressive moments. It is tempting to pick out Tadd Dameron’s Good Bait because the Bebop classic is simply breathtaking and played with slightly disembodied sonorities that it conjures up a kind of magic that is associated with very few renditions of such fare. But there is much more to enjoy and celebrate here. Take, for instance, The Puzzle, or even the two Off pieces – Off Flow and Off And Off – oblique masterpieces of Dave Liebman work where he pounces on the sudden loud declamations and dives into the wild scales, truly evoking the music’s improvisatory genesis. The musicians also enjoy the act of performing the challenge of performance and this is clear from their fondness for expressive asides in the form of rubato, tenutos and rounding off phrases at the end of major sections of songs. Dave Liebman is in front of it all as he gild melodic lines and also employs soft-grained broken octaves and wild glissandos to bring a sense of urgency to music that is both intellectual and intuitive. And there is the underlining of the music with brilliant reharmonisations, underlined by slightly accelerating the tempo. The cheeky double notes played by soprano and alto saxophones accentuate the jazzy lightness and often contrasts with Dave Liebman’s surging drive. Not surprisingly Dave Liebman also plays wooden recorder as if he were to the manor born. This is something that puts Dave Liebman in a class all his own and he should be better known for it. However, popular recognition – for that is important too – comes late to some of music’s finest. So cherish this performance by a wonderful artist playing a varied programme and see how wonderful it is to discover the mixing of the sentimental, eccentric, Coltranesque and virtuoso sides to a master musician and his extraordinary group. Track List: Hat Trick; For J.A. Vendetta; Good Bait; Sailing; The Puzzle; Off Flow; Continues To Ignore; Off And Off; The Thing That Wouldn’t Leave; Danse De La Fureur. 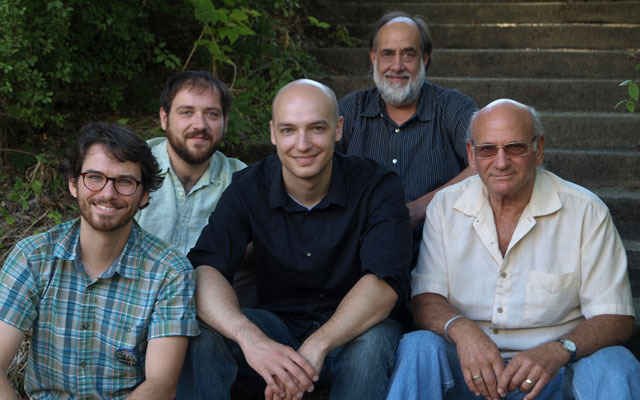 Personnel: Dave Liebman: soprano saxophone, wooden recorder; Matt Vashlishan: clarinet, flute, alto saxophone, EWI; Bobby Avey: acoustic piano, electric keyboard; Tony Mariano: acoustic, electric bass; Alex Ritz: drums, frame drum.